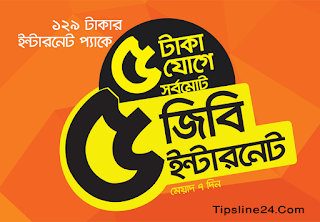 Banglalink lanched an amazing internet offer for their customer. In this offer Banglalink user can enjoy 2.5GB internet only at 5Tk. Today I will show you how to get 2.5gb internet at 5Tk. But, If you want to enjoy this offer, You have to buy any of internet package from below list. Now get double the internet volume by adding 5TK more after buying any of the following internet packages.